First edition prints are limited. Frame NOT included. 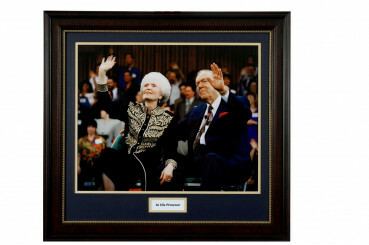 Kenneth and Oretha Hagin ran their race; they finished their course. But the legacy of faith and love they left behind still impacts countless lives today. Their unforgettable stories, eye-opening teachings, and unwavering faithfulness to God are an inspiration to us all. Now you can remember and honor them in an entirely new way! For the first time, we’re offering this first edition, 20-by-24-inch commemorative print from Winter Bible Seminar 1995. 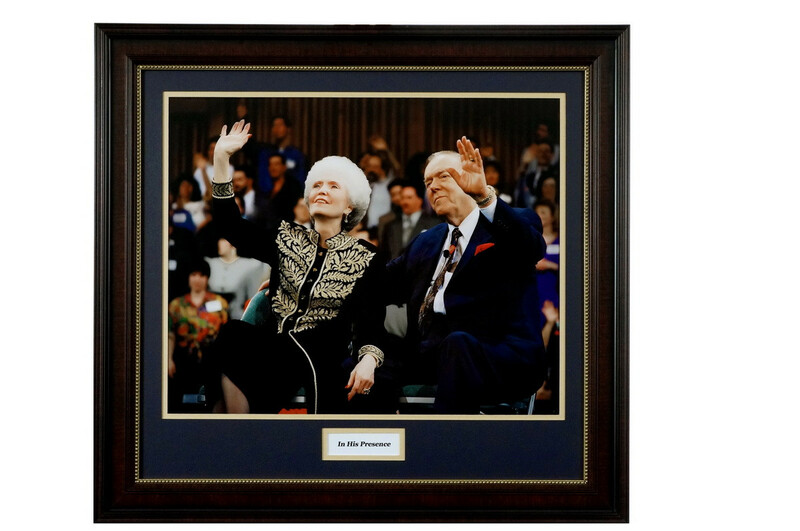 It will be a daily reminder to you of Dad and Mom Hagin’s example and encourage you to finish your own race strong! Features: Embossed with the faith shield seal of authenticity Hand numbered Printed on acid-free, museum-quality paper Comes with a certificate of authenticity Unique—Only a limited number of prints available.